As part of its continued commitment to arm women with the information they need to make smart skincare choices, Olay, the World’s #1 Female Facial Skincare Brand, has partnered with expert dermatologist, Dr. Omar Torres, to shine a light on the importance of daily SPF protection. While the use of SPF moisturizers peak during the summer season, Dr. Torres warns women of the health implications that may develop as a result of unprotected UV exposure throughout any season of the year. To keep women’s skin healthy, Dr. Torres shares the following tips on protecting skin from UV sun exposure. Sun damage is cumulative. Every minute of sun exposure adds up. Incidental sun exposure – the sun exposure acquired when walking to the train, driving to work or sitting by a window – can cause wrinkles and blemishes while increasing your chances of developing melanoma, also known as skin cancer, in the future. Make sure to use an SPF 15 or higher with broad spectrum protection against ultraviolet light type A (UVA) and ultraviolet light type B (UVB). Latinas are at risk. According to The Skin Cancer Foundation, melanoma incidence among Hispanics has risen nearly 20 percent in the last two decades alone. Although people with darker complexion might feel exempt from developing sunburn, a darker skin complexion will not make you immune to skin cancer. With the incidence of skin cancer among Hispanics on the rise, using a daily moisturizing sunscreen with at least an SPF 15 is a necessary precautionary measure that minimizes the risk of skin cancer among other conditions including dark spots. Apply SPF every season. Come rain or shine, it is important to use an SPF moisturizer every single day. I tell my patients to apply one ounce of SPF moisturizer in the morning and reapply every two hours when performing outdoor activities. 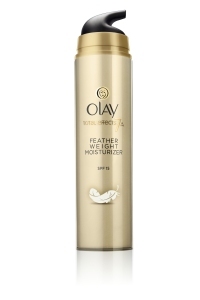 Always have the Olay Total Effects Feather Weight Moisturizer SPF 15 in your bag before heading out to make reapplication easy at any point of the day. According to The Skin Cancer Foundation, regular daily use of a sunscreen with an SPF 15 or higher reduces the risk of developing melanoma by 50 percent and the risk of developing squamous cell carcinoma by 40 percent. To learn more about Olay Total Effects and how to protect your skin, visit Olay.com.